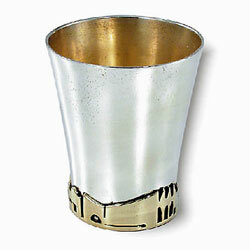 925 Sterling Silver Hexagonal Liquor Cup. Jerusalem of Gold panorama on cup . Hand Crafted. Made in Jerusalem / Israel.